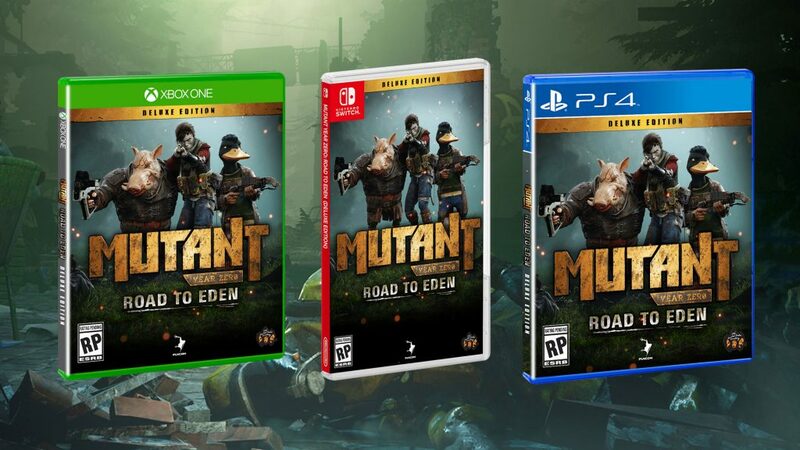 We’re incredibly excited to announce that that Mutant Year Zero: Road to Eden is releasing on Nintendo Switch later this year! From June 25th you can enjoy the company of Dux, Bormin, Selma, Magnus and Farrow on the go! We’ve always felt that the Switch is the perfect platform for MYZ: Road to Eden. The pacing of the tactical turn-based combat is perfect for an on-the-go handheld console and we think fans of the genre will have a ton of fun. The Switch version will come with an expansion DLC that will also be available on PC, Xbox One and PS4. The world of Mutant Year Zero is growing even bigger! More information about the expansion DLC, including pricing, will be available at a later date. Finally, we’re bringing the game to retail stores with a Deluxe Edition on June 25th for Xbox One, PS4 and Nintendo Switch. The retail Deluxe Edition will come with the base game and the expansion DLC for $39.99.